Home > Blog > Articles > 1920s themed wedding ? We can help make it really special! 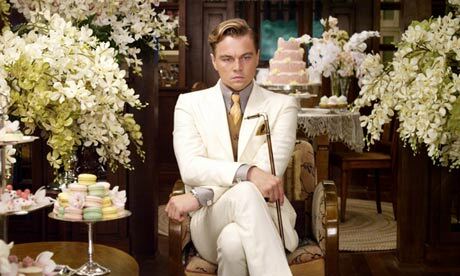 Following the appearances of Leonardo DiCaprio and Carey Mulligan in the hugely popular remake of The Great Gatsby, a 1920s themed wedding has never been so popular. Even the Kardashians are in on it, with Kris Jenner’s recent 60th birthday party adopting a super-glam 1920s theme. It’s not just birthday parties, 1920s themed weddings are also becoming hugely popular. We can definitely understand why – the vintage glitz and glamour of the decade is un-rivalled. From sequin embellished flapper dancers to champagne saucers, 1920 accessories are undeniably fabulous. What’s more if you’re hosting a 1920s themed wedding, your guests can join in the fun too. From a simple, shimmering head dress to an all-out sequin gown, the glamour of the 1920s is fun and fabulous to recreate for your female guests. Male guests can also don their best three piece suits or tweed accessories to ensure they look the part. One of the most iconic features of the 1920’s is the music. With an unbeatable bop, 1920’s music provides the perfect backdrop for your guests to dance the night away. And there’s no better way to include jazz music within your wedding than with a live jazz band. The Jazz Spivs are specialists in vintage, 1920s music and travel all over the country to perform at weddings of all shapes and sizes. Hiring a jazz band doesn’t need to cost you the earth and our small group of 4 professionals can create the perfect ambience for your reception. We can also offer acoustic options for those who’d like their ceremony serenaded or require background music to accompany their wedding breakfast. When it comes to your playlist, the Jazz Spivs will happily offer a wide range from classic tunes through the jazz songs with a modern twist. Take a look at our sample song list for more information. If you’d like to take your wedding theme one step further and bring the 1920s to life, why not consider hiring our flapper dancers? Our dancing girls offer that extra bit of pizzazz and will make sure that your guests dance the night away in style. If you’re planning a vintage themed wedding, we’d love to speak to you about how we can help you to recreate the roaring 1920’s, so please get in touch today.